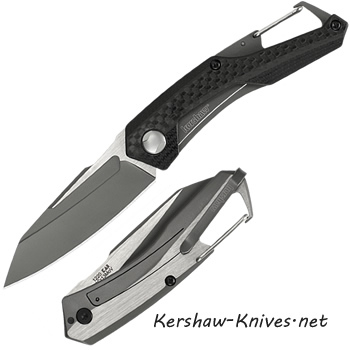 Kershaw Reverb 1220. Lightweight and stylish with its unique curves and different styles. The Reverb has G-10 scales with carbon fiber overlay on the front, while the back side is made of steel. A large carabiner on the end, so you can carry the Reverb anywhere with you. 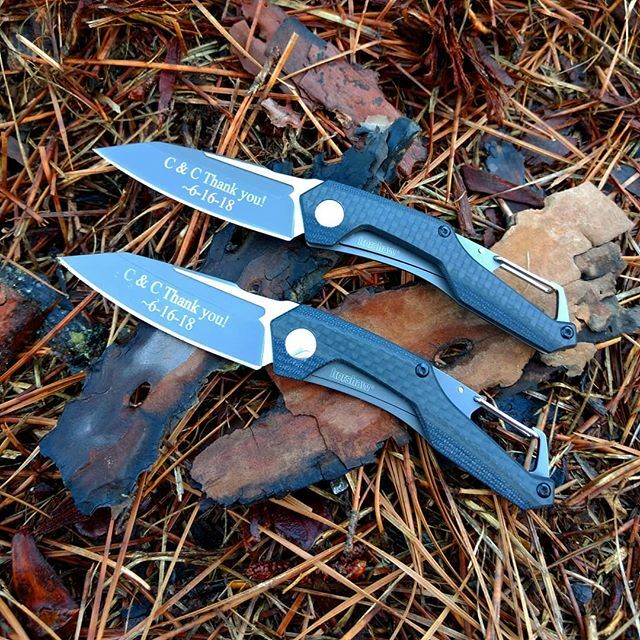 The blade has two tones of steel: the 8Cr13MoV with PVD coating and then has satin flats. Silver pocket clip on the back. 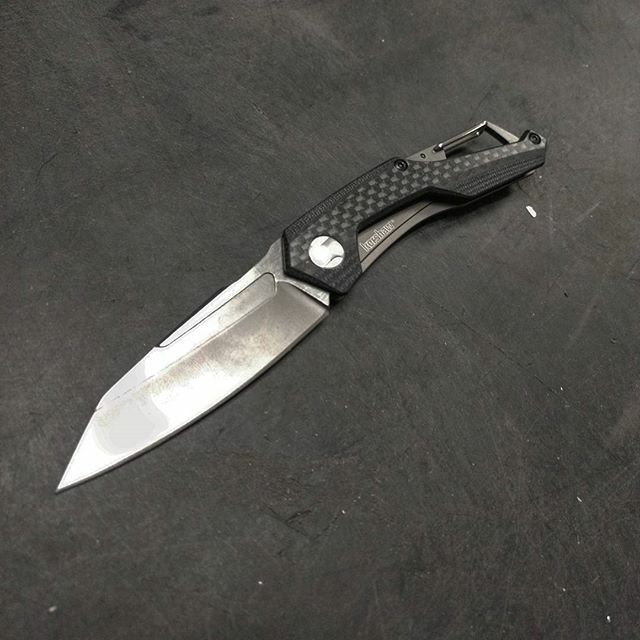 Reverb is a unique knife to add to you collection.